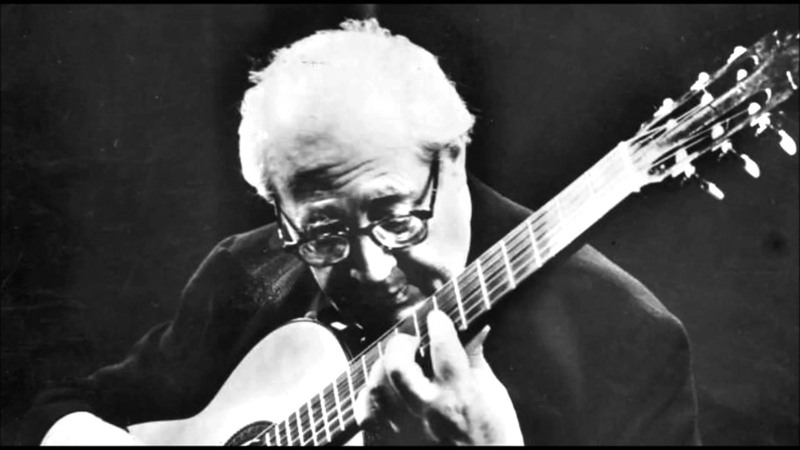 Andres Torres Segovia (1893-1987) I saw Andres perform at the CalArt’s Perfomance Hall when he was 92 years old! He played like he was in his 20’s. My classical instructor Richard Glenn from the University of California, Irvine took master classes with Segovia. Classical guitar is a beautiful, rewarding art form. It demands a certain disipline from the student and is not a style to take a short cut on. First thing is the proper guitar. I have had so many students want to play classical on a steel string acoustic or electric guitar. It is not the right guitar. Getting started with classical guitar you need a nylon string “Classical Guitar”. There are many brands to choose from: Alvarez, Yamaha, Ramirez, Alhambra, Takamine etc…a decent entry level classical will be around $200.00 to $400.00. Please do not be shocked by this amount. Concert level classical guitars can easily cost $5,000.00 and up. Once you have your guitar the list of accessories needed is very small. Method books are numerous and I have seen many. I was using Aaron Shearer’s “Classical Guitar Technique Volume 1″ but it has changed publishers and become really difficult to follow. The book I am using more is “The Christopher Parkening Guitar Method Volume 1″. After the student has become solid with their technique I am using “Guitar Music from The Student Repertoire” by John Mills. This book allows us to move into actual pieces of music and will really give the student a sense of accomplishment. The only other accessories a student will need is a footstool (see Segovia photo left leg) nail file, metronome, tuner and a good sturdy music stand like the Manhasset M48. In my online guitar lessons archives you will find classical guitar material and a important lessons titled “Natural Notes” Guitar and “16th Note Subdivisions” Classical Guitar. These lessons will walk you through the natural notes on the guitar in standard notation and 16th note rhythms both with corresponding video files. Webcam guitar lessons are a great way to learn! Please contact me to schedule your free Skype classical guitar lesson.